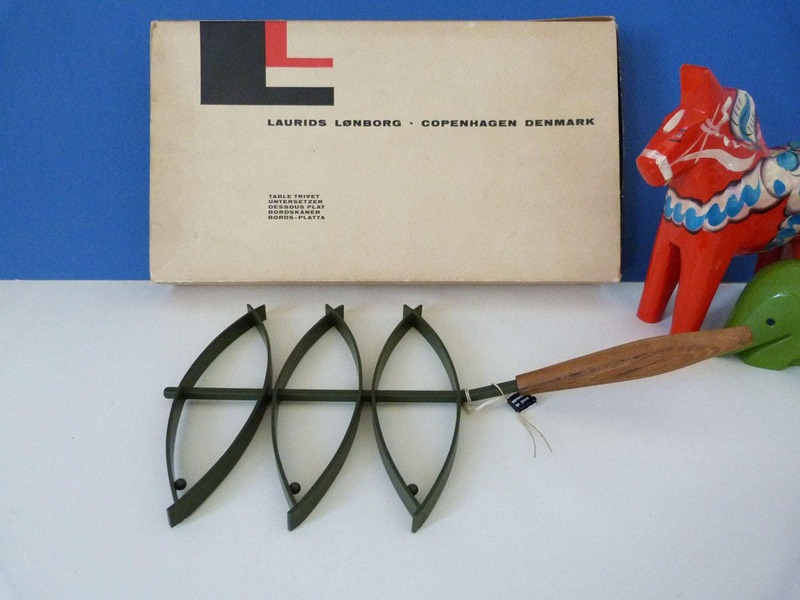 Beautiful Table trivet produced by Laurids Lonborg of Denmark, The trivet is boxed and still has its original metal tag. 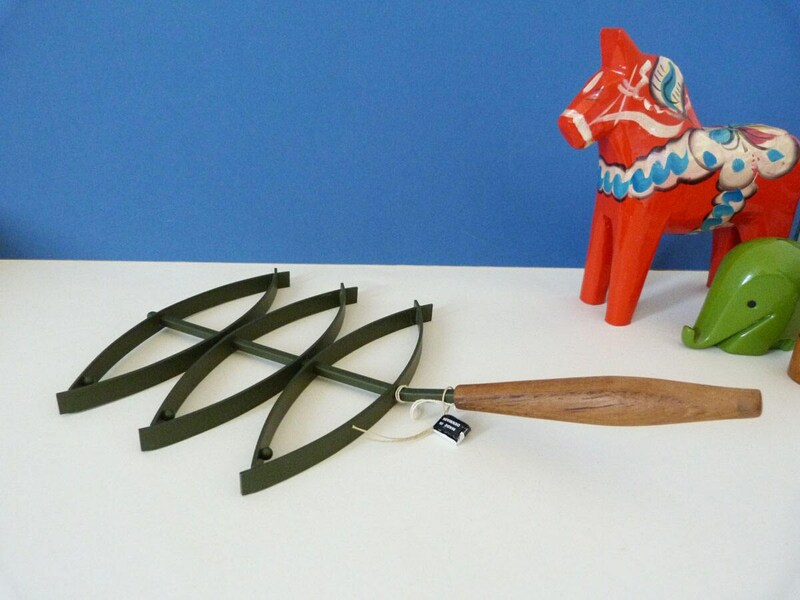 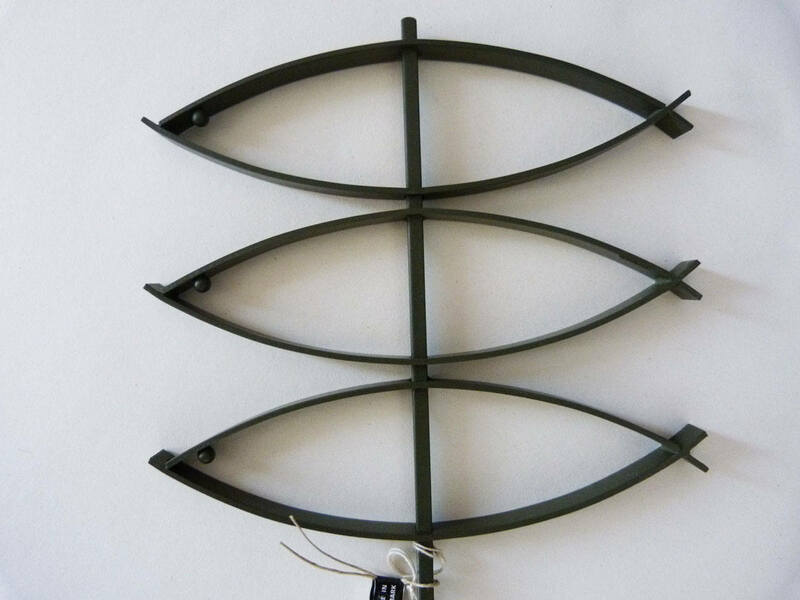 The trivet itself is made from steel and teak and depicts 3 fish each with a metal shaped ball eye. 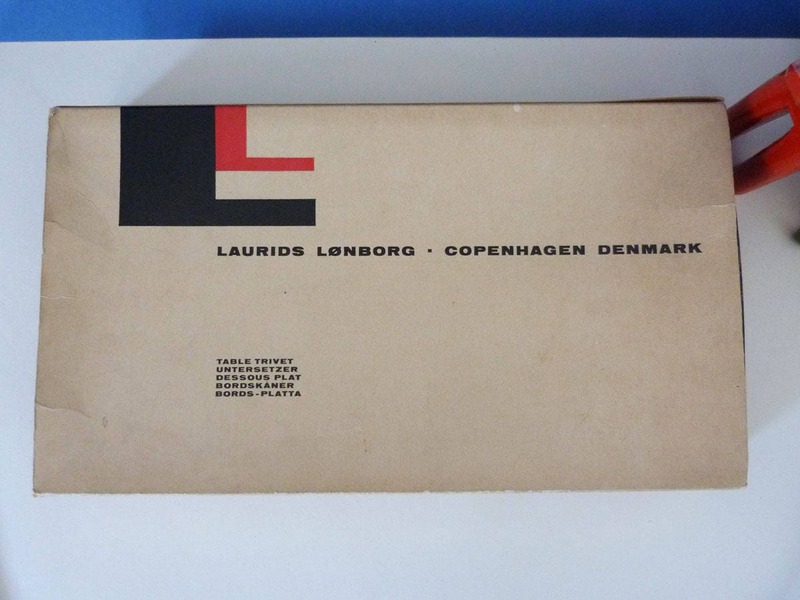 Laurids Lonborg pieces are often celebrated for there bright colourful designs, and even here in such a simplistic design, this is evident as the metal area is a dark shade of olive green. 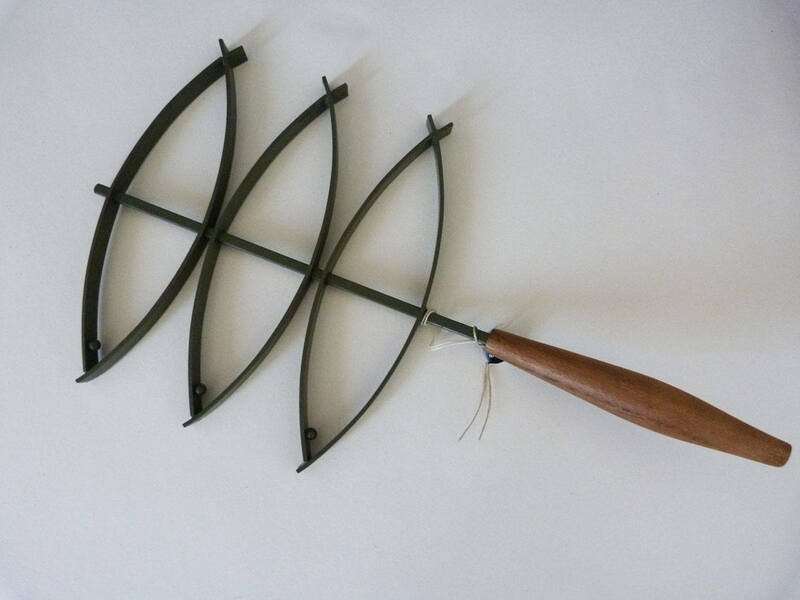 A superb design, which will last a lifetime.